A day after apologising for surprising Assassin’s Creed Odyssey players with a mandatory in-game relationship that seemed to contradict the game’s pre-release promise to let players define their character’s own sexuality, the game’s creative director offered a fuller apology and explanation of what his team was trying to accomplish and what they got wrong. He went on to say that players will not have to continue the romantic relationship in the next instalment of the game’s DLC, saying the developers wanted players to have the option of deciding that their character choice to procreate was a utilitarian decision rather than a romantic one. The plot development occurs at the end of the second chapter of a three-part paid expansion and constitutes a spoiler for those who haven’t played the game. 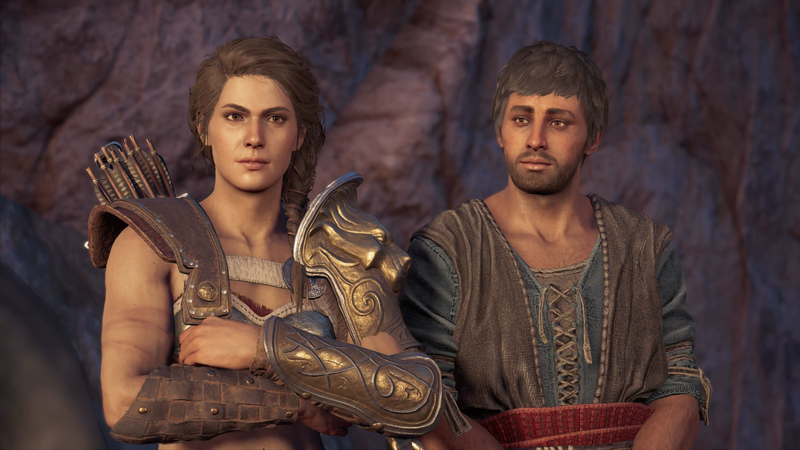 At the end of the DLC, the player’s character decides to enter into a relationship with either the daughter (if they’re playing as Alexios) or son (if they’re playing as Kassandra) of the proto-Assassin Darius. They then have a child. As Kotaku writer Heather Alexandra noted yesterday after playing through the DLC, the player can rebuff the romantic advances of Darius’ kid but they’ll still wind up in a relationship and have the baby. Kassandra with the scripted father of her child. Many Odyssey players were upset by DLC twist and a lengthy thread on the game’s subreddit filled with people expressing hurt over a seemingly broken promise. One wrote that she is gay and felt like she was being punched in the stomach. On Twitter, people who saw Kotaku’s coverage complained that a game that had made them feel included now felt like a lie. Alexios/Kassandra realizing their own mortality and the sacrifice Leonidas and Myrrine made before them to keep their legacy alive, felt the desire and duty to preserve their important lineage. Our goal was to let players choose between a utilitarian view of ensuring your bloodline lived on or forming a romantic relationship. We attempted to distinguish between the two but could have done this more carefully as we were walking a narrow line between role-play choices and story, and the clarity and motivation for this decision was poorly executed. As you continue the adventure in next episode Bloodline, please know that you will not have to engage in a lasting romantic relationship if you do not desire to. There are also some players who were unbothered by the DLC’s plot development. Some of those people are the predictable sort who’ll mock any discussion of inclusivity or offense. Others focused on the idea of authorial intent or even the traditions of older Assassin’s Creed games to require that the historical protagonist has a biological descendant in order for modern-day characters to relive their lives through the Animus device - the conceit that what players mostly play is happening in the Animus. The creative freedom argument must contend with the developers’ own promises to its player base. As for the rules of AC? They’re bent all the time and recent games in the series, including Odyssey, have featured Animus tech that doesn’t require descendants. Update: This story has been updated to incorporate comments from Ubisoft PR and Dumont about whether the DLC will be changed (it won’t) or if the “growing up” trophy/achievement for engaging in a straight relationship and having a kid will be renamed (it will).